Adalyn Stalling's clients convinced her to be a contestant on their reality TV show, The One. Hundreds of thousands of viewers tune in each week to watch a group of bachelorettes try to win one bachelor's heart, and then during the next season, watch bachelors do the same. Adi appeared on the show twice-once as a potential love-match for the bachelor, once as the bachelorette. As a marketing executive for the firm who handles the show, Adi initially became a part of the cast in order to learn more from the "inside." But as much as she wanted to stay professionally removed, she ended up giving her heart to both Adam and Connor. Both times, the men broke it off. Now America's most famous "loser at love," Adalyn is trying to pick up the pieces of her life. Given the media frenzy and the paparazzi that chase her, she's finding it difficult. And just as she learns she may have picked up a stalker, her childhood friend, Chase Rollins, tracks her down at last. He informs her that her beloved grandfather is ailing and needs her help, in more ways than one. 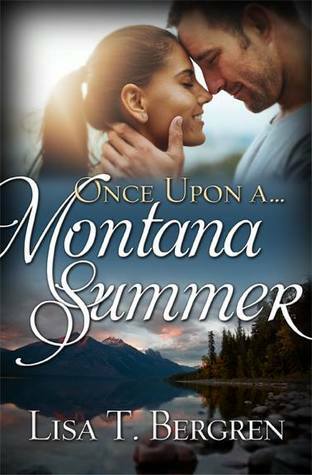 ONCE UPON A MONTANA SUMMER is a story full of heart, with some sweet romance, and a little danger thrown in. It has a nostalgic feel to it with the heroine escaping to a place where she used to spend her summers with the best friend and boy who first won her heart. Readers will fall in love with these characters and will cheer for the happily-ever-after they deserve. Adalyn or "Adi" is a really fun character. She's smart and successful, but has gotten waylaid by the reality love shows she was pulled onto and then unfortunately didn't win. Through it all, she seems to have lost herself a little in all the show-business and in her heartbreak. Going to her grandfather's is just what she needs to recuperate. I love the setting and the work she does on the cabins (I am a little addicted to those home shows where they flip houses and all of that). I love her relationship with her grandfather, as well as Chase's with his brother and his brother's wife. I pretty much fell in love with Chase from the first moment he appears. He's as steady as they come and a very outdoorsy type. I love that Adi and Chase have an old friendship. They then rediscover how they've grown and changed, but that history is already there and it opens the possibility for more than friendship. The suspense aspect keeps things interesting. It feels a little rough in places, but otherwise works. In the end, was it what I wished for? This was just what I was looking for when I picked this up for review. I pretty much enjoyed every single minute and am looking forward to more of these types of stories from this author! Source: I received a complimentary copy from the author's pulicist, which did not require a positive review nor affect it in any way. Are you a fan of this author? Do you enjoy romantic suspense? Any thoughts on this book?